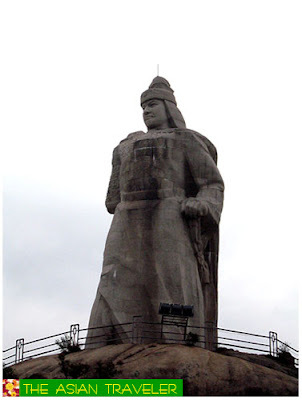 Soon after we procced to Haouyue Park, the only sculpture park built in commemoration of the national hero Zheng Chenggong. The name of the park derives from the line "I had a sleepless night thinking of your Majesty as the bright moon light streamed in through the curtain", from the "Two Yanping Lords Poetry Collection" composed in remembrance of the hero and the yearning for the return of the motherland's treasure island of Taiwan. 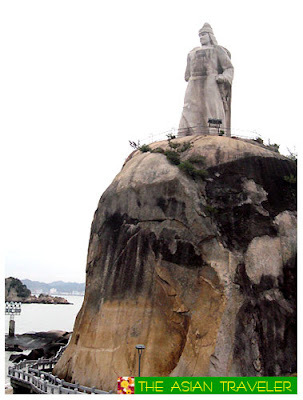 The stone sculpture of Zheng Chenggong stands like a giant on Fuding Rock. 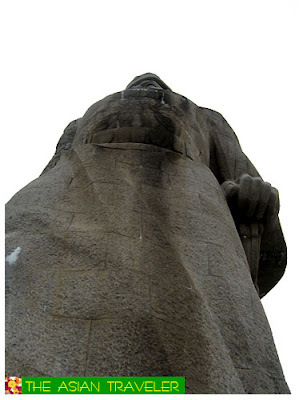 It's 15.7 meters high, 1400 tons, and is carved out of 625 pieces of Quanzhou white high quality granite. 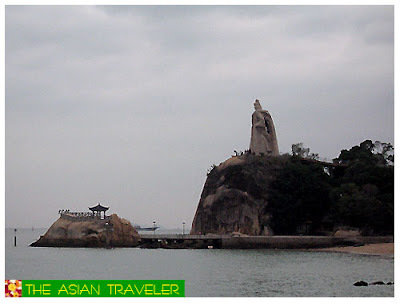 It's the largest stone historical figure sculpture in Xiamen at present. Standing on the upper level, visitors can see the zigzag walk to the Emperor's palace and the small lighthouse. 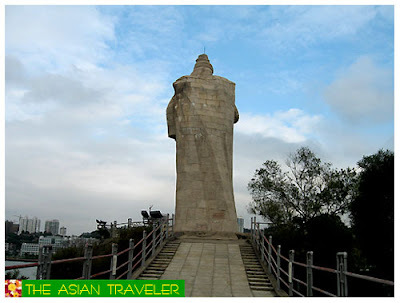 The sculpture is divided into 25 layers, the base is 3 meters deep in the rock, and there is the thunder-proof equipment, so it can resist scale 12 violent typhoon and earthquake of magnitude above 8. 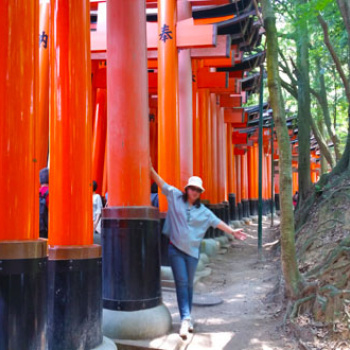 The sculpture attracts thousands of visitors by its magnificent mould and profound intrinsic ideological level.